This is an example of an exercise that you’ll learn in my seminar “Travel/Hotel Workouts”. 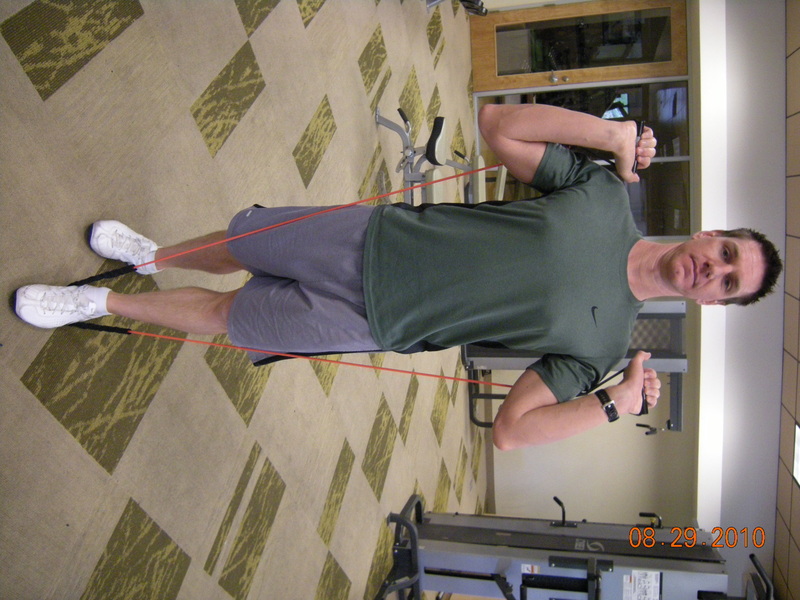 These exercises utilize resistance tubing or bands. Resistance bands are great for travel workouts, because they are light, don’t take up much space in your luggage and they provide a lot of resistance variety. This exercise is an overhead press, it’s helps to strengthen your deltoids (shoulders). In the Start Position you should have one foot slightly in front of the other (doesn’t matter which one). Place the resistance band under the arch of your front foot. It is important that you stand exactly on the middle of the band, so that the resistance is the same for each arm. Bring your hands to collar bone level with your palms facing forward. 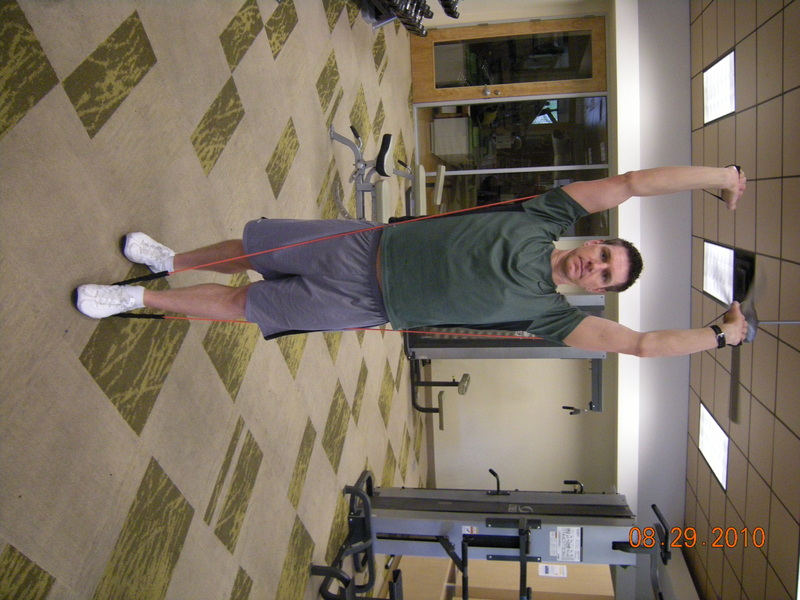 The resistance band should be behind your upper arms. From the Start Position exhale as you press your hands toward the ceiling. At the Finish Position your hand should be directly over your head (not behind or in front of it). Inhale as you lower your hands to the Start Position.